As mentioned above, Inovio Pharmaceuticals is having an incredibly strong day in the market today after announcing dosing for the first subject in its multi-center phase 1 trial to evaluate the Zika DNA vaccine. Also, it was announced today that Health Canada’s Health Products and Food Branch has approved the study following recent approval from the FDA. The study will include clinical sites in Miami, Philidelphia, and Quebec City. 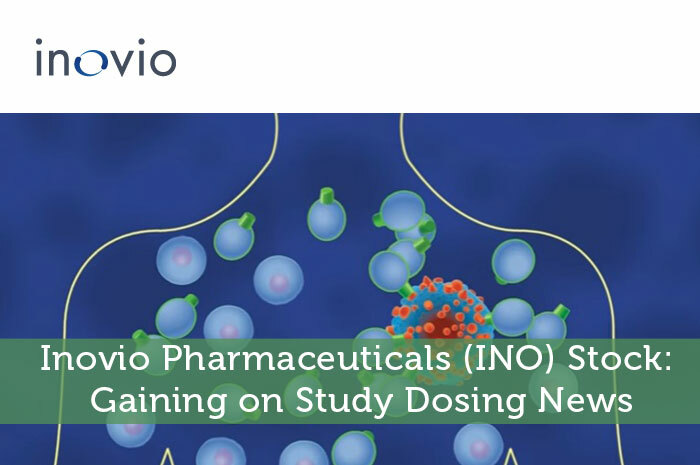 The clinical trial being conducted by INO is an open-label, dose-ranging study of 40 healthy adult volunteers. The goal of the study is to evaluate the safety, tolerability, and immunogenicity of GLS-5700 (the Zika virus vaccine). The vaccine will be administered with the CELLECTRA-3P device, a proprietary intraderma DNA delivery device designed by the company. According to INO, the synthetic vaccine induced robust antibody T cell responses in preclinical testing. This is incredibly important as T cell responses are necessary to fight viral infections. The increased T cell response was seen in testing on both small and large animal models. “The WHO declared Zika a public health emergency in February 2016 and every week new insights suggest that, similarly to dengue and Chikungunya, its medical and economic impact may be significant, pervasive and long-lasting. The U.S. Centers for Disease Control estimates that there are 30 to 40 million U.S. Travelers to Zika-affected areas annually. The resident population in the Americas at higher risk of Zika exposure has been estimated at nearly 300 million. It is easy to see the potentially harmful effect Zika could have and why a safe and effective vaccine, brought to market as quickly as possible, is critical for public health. As investors, one of the first things that we learn is that the news moves the market. Any time positive news is released with regard to a publicly traded company, we can expect to see gains in the value of the stock as a result. Adversely, negative news will lead to declines. In this particular case, the news released with regard to INO was overwhelmingly positive. As a result, the stock saw strong gains in the market today. By the end of the trading session, the stock climbed $0.40 per share or 4.37% to close the day off at $9.55 per share. Moving forward, I have an overwhelmingly bullish opinion of what we can expect to see from Inovio Pharmaceuticals. Through the push to clinical trials, the company has shown its strength in moving from conceptualization to human trials quickly for much needed medical ailments. Considering the promising preclinical results, I’m expecting for the Zika vaccine to prove to be successful. This in combination with strong products, a strong team, and a plan for success leads me to expect gains in the stock moving forward. Where do you think INO is headed moving forward and why? Join the discussion in the comments below!